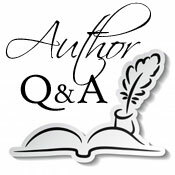 We are delighted to welcome author Michael Giorgio to Omnimystery News. Yesterday we featured an excerpt from Michael's crime novel Justice Comes Home (Black Rose Writing; August 2014 trade paperback and ebook formats) and today we are fortunate enough to have the opportunity to catch up with him to talk more about it. Omnimystery News: Introduce us to your lead character. What is it about him that appeals to you as a writer? Michael Giorgio: Patrick Morgan is the chief of police in Devlin's Crossing, Wisconsin, a city of about twenty thousand, in 1945, a position he's held for more than a decade. Morgan is, for me, what I would want in a police chief, because he's smart, but not so smart that he's not personable. He has flaws, for sure, and when Justice Comes Home opens, he's hurting. The book opens on Labor Day weekend in 1945 and the city's huge party to celebrate the end of the war. Morgan, whose son died in Germany the previous April, hasn't even begun to reconcile himself to the loss of his only son, at the expense of his daughter, Janey, who he has begun to ignore while placing his son on a lofty pedestal. That he can't see he's done this affects his wife and daughter both, and his investigation as well. OMN: Will we see Patrick Morgan in another mystery? MG: I just finished the first draft of a second Patrick Morgan book and I think he's changed over time (the second takes place at Thanksgiving/Christmas 1945). He's begun to try to move on from Chuck's death, at least a little bit, which for him is a major effort, and bring Janey back into his life. He has no choice, as she's become serious about a young man and there's talk of marriage. OMN: Tell us something about the book that isn't mentioned in the synopsis. MG: Justice, though set in the fictitious city of Devlin's Crossing, Wisconsin, is based on Waukesha, Wisconsin, where I live. I based the opening event of the book, the citywide Labor Day weekend Victory Celebration, on a real event in Waukesha, where there were more people on the streets than lived in the city. I saw a perfect setting for murder and wrote from there. MG: My process is somewhat haphazard because of my helter-skelter schedule. I work a full-time job and teach classes online and onsite at AllWriters' Workplace and Workshop, plus I have a wife, Kathie, who is also a novelist, and daughter, Olivia. I write when and where I can, jotting lines in odd moments at work, while I'm cooking supper, and supplementing it all later at night when I have more uninterrupted time. I've been teased in my workshop for having drafts of chapters and short stories written entirely on post-it notes. MG: Well, I can't claim firsthand experience, unless it was in a previous life, so I tend to use a combination of library time, historical museum time, and listening to radio programs of the era to get a feel for the period and accuracy of the story. The most challenging part was getting the day-to-day details down. For instance, there's a scene in the book that involves Morgan noticing a diner waitress giving his subordinate extra whipped cream on his pie at lunch. I wrote the scene, I was happy with it, then I learned that whipping cream was on the ration list for another two weeks after that scene. Since the book involves the black market in consumer goods, I had to decide whether to keep it as is and let the reader who would know this use it as a potential clue, or change it. OMN: You mentioned that Devlin's Crossing is based on Waukesha, Wisconsin. How true are you to the setting? MG: Devlin's Crossing is definitely Wisconsin, since it's based on Waukesha. I was very careful to use certain word choices and sentence structures that fit the region. For instance, when I moved to Wisconsin, I noticed that no one ever goes anywhere, they go "by" places (as in "I'm going by the store. "), so my Wisconsinites go by places rather than to them most of the time. I also chose to set Devlin's Crossing where it is so it could be smack in-between Madison, the state capital, and Milwaukee, the largest city, and have both of them close enough for believable travel. OMN: If we could send you anywhere in the world to research the setting for a book, all expenses paid, where would it be? MG: Definitely, I'd time-travel to 1945 and immerse myself in the period. Barring that, I'd find the best Wisconsin history repository in the warmest climate I could find and winter there. OMN: What advice might you offer to aspiring writers? MG: Find readers you can trust to critique your early drafts. I don't mean people who will pat you on the back and love everything or people who will only find the negatives. For me, it was a critique group of people who are serious about their writing, a critique group led by someone who is currently publishing (not self-publishing) and who encourages participants to not only say what they like or what can be improved in a piece, but to explain the why of both. Knowing why something works or doesn't is the key to improving the story in subsequent drafts. MG: … considered dangerous because no one knows what I'm thinking. There might be some truth to that at times, but I'm harmless. OMN: Was Justice Comes Home your working title for the book? MG: No, the working title was Bump Off and Grind, which is the title under which I submitted it to Black Rose Writing. The publisher felt it might be misconstrued as a different type of story and asked for a change, so I went with the theme of the story. OMN: Suppose Justice Comes Home were to be adapted for television or film. Who do you see playing Patrick Morgan? MG: My mental image of Patrick Morgan was actor Brian Dennehy, circa 1980. Since he's in his mid-70s or so now, he'd be too old for the part. OMN: What authors influenced how and what you write today? MG: There are four authors that, together, have had an incredible influence on me. Ken Follett, who is a genre hopper, showed me that I should write what I want, and my short fiction, while mostly mystery, goes into other genres as well. Bill Pronzini, who is a genius at setting and fully immersing his characters in their setting. Joseph Wambaugh, whose characters and attention to detail astounds me to this day. And John Lutz, whose work let me see that, even during serious situations, there is humor and humanity. I recommend them all highly. OMN: When selecting a book to read for pleasure, what do you look for. MG: Characters. If I can't believe the characters, I don't care about the plot. For genre, I'm all over the place. I read a lot of mystery (I'm working my way through everything Dennis Lehane has released), but I read other genres too. They all have something to offer to me as a reader and as a writer. MG: Next for me is working on the rewrites of the sequel to Justice, tentatively titled The Misery Chiselers and writing short stories, teaching, and working at my day job, plus being the best husband and dad I can be. And maybe this will be the year I start taking art lessons, which has been a goal for a long time. I have no artistic talent, so it'll be a challenge. Michael Giorgio lives in Waukesha, Wisconsin with his wife, author Kathie Giorgio, daughter Olivia, and an assortment of dogs, cats, and fish. His short fiction has appeared in The Strand, Mammoth Book of Tales from the Road, Tales from the Cash Register and many magazines and anthologies. In addition to writing, he is also a creative writing instructor for AllWriters' Workplace and Workshop, both in their Waukesha studio and online, and is a member of the Mystery Writers of America. For more information about the author, please visit his website at MichaelGiorgio.org and his author page on Goodreads, or find him on Facebook. After nearly four years of war, the citizens of Devlin's Crossing, Wisconsin, are grateful for a chance to celebrate peace, but police chief Patrick Morgan wants nothing to do with the city's massive street party. He can't understand how people can celebrate while his son lies dead in a grave somewhere in Europe, never to return home. During the jubilee, Carter Fairfax, the black sheep of the city's wealthiest family, is found shot to death behind his burlesque. Chief Morgan, who has his own reasons for wishing Fairfax dead, has the responsibility of finding his murderer. Secrets are revealed that cause him to rethink everything in his life, from the city he calls home to his relationship with his daughter, who he's ignored while grieving his son. Immersed in murder and mourning, Patrick doubts justice will ever come home. A wonderful interview. All the best with the book. Enjoyed reading this interview, Michael. So happy for you getting your book published! Continued success! !